The rapid evolution of e-commerce has effectively created a new sales channel for retailers, but the primary drawback to online shopping is that numerous sensory elements that are used by customers for finalizing the purchase are often lost. When it comes to doing shopping online, a customer is not able to touch or feel an item, they don’t know that how it will fit in their home or in other words, they are not sure whether the product is a good match to the walls or not. These are some of the things that arise in shoppers’ mind while seeking out products and augmented reality works by bringing a tangible presence to online shopping. 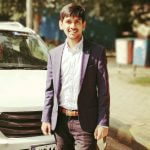 In most of the cases, it is seen that people move to brick-and-mortar stores because traditional shopping is the place where customers can finalise their purchase without any fear, but they cannot forget the fact that it is time consuming as trying each and everything requires some good amount of time. This is considered as the best way to waste a couple of hours. However, there is no need to worry about this as augmented reality (AR) has come up with a bang to save shoppers time. Many consumers are not aware of fashion trends. They spend their entire day in shopping malls trying out each thing separately in order to find the suitable outfit, but most of the time they fail. Is there any solution that removes the hassle of searching out each thing separately? Yes, AR can make things a lot more easier. A personal care multinational company, Shisedio has already developed an AR-based makeup mirror that takes an image of a user and accordingly suggests the highly suitable makeup as per their skin tone and type. Hence, this technology can be incorporated to give recommendations that is perfect for that particular customer. All customers who enters the retail store try every outfit so as to make sure that it looks good on them, but there is nothing wrong in saying that this work consumes a huge amount of time. With the emergence of AR technology, customers have an option of trying everything virtually in a hassle-free manner. To prove this true, TopShop, a renowned retailer partnered with Microsoft Kinect for virtual fitting dressing room where everyone can try everything virtually. A large number of customers love to have all the details of the product such as ingredients list, price and expiry dates to name a few before finalizing the purchase. In this regard, augmented reality is the technology that offers all the important information on their mobile as soon as the device is placed on the product. If you are not sure about this functionality, then check out the IBM’s app, which is a strong proof of this function. Online stores are also at a higher chance to avail advantages of AR. While purchasing from an online store, a customer has to imagine and interpret how a product will exactly look in that particular place. In this case, AR technology helps in solving this problem of online buyers by simply transforming an imagination into a reality. There is no exaggeration in saying that when the purchaser knows how that particular product will look in the real environment, then he or she will be able to do the purchasing without any fear. IKEA AR catalogue has even proved it in a better way as this helps in visualising furniture in their homes so as to select the one that matches with your room decor. 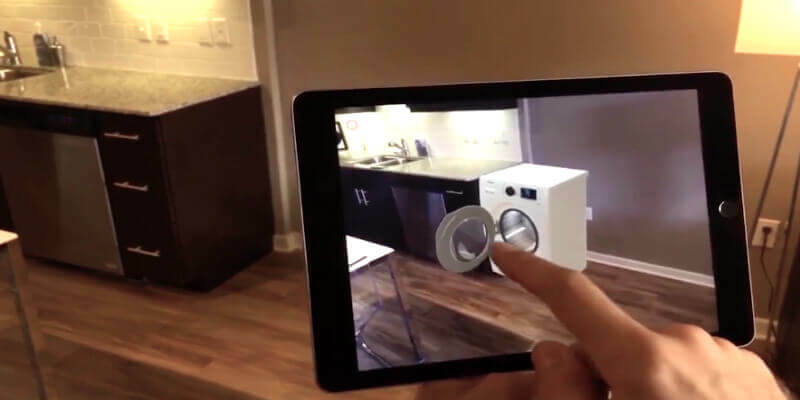 With the growing advantages of augmented reality, numerous sellers are looking forward to incorporate AR technology for a pleasant shopping experience. On the other hand, owners of online stores strive to create AR apps for retaining customers and for making shopping a quick task. Appinventiv is a world-class mobile app development company that delivers cutting-edge apps to its valuable customers. Developers of the company offers precise solutions for augmented reality development to satisfy the needs of their clients.